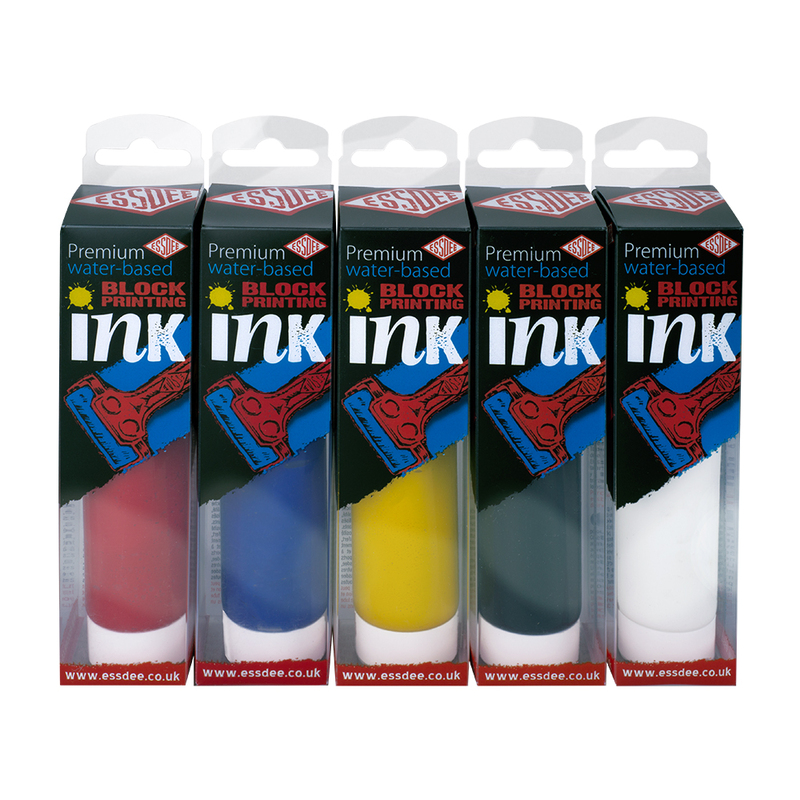 This set contains five 100ml tubes of Essdee Premium Block Printing Inks in Black, White, Brilliant Yellow, Brilliant Red and Brilliant Blue. Essdee Premium Block Printing Ink is a high quality water-based ink made with specialist ingredients for smooth, vibrant prints. 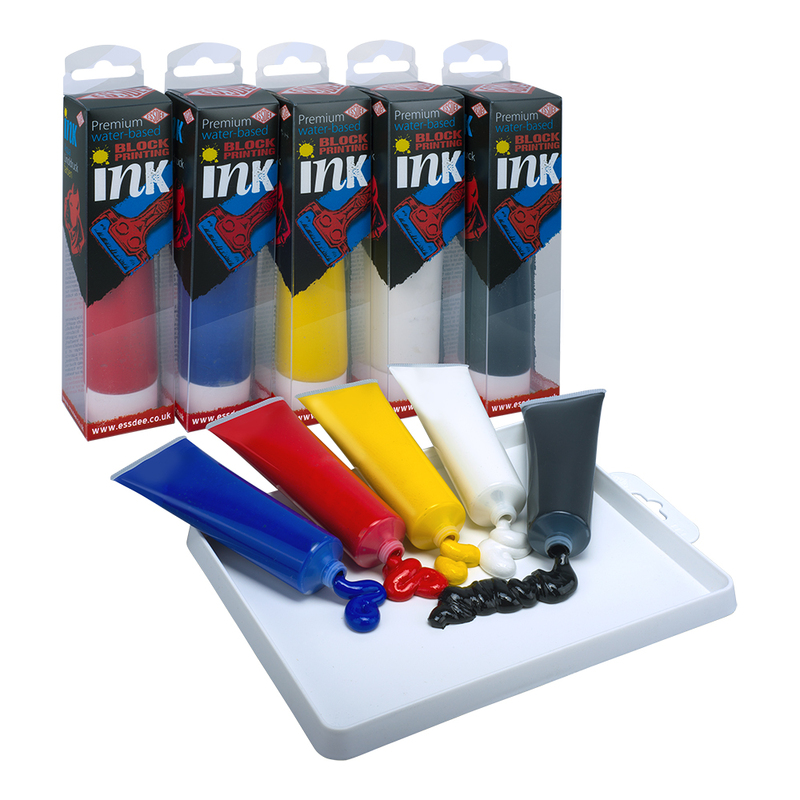 This non-permanent ink has enhanced tack and excellent transfer properties, with a perfectly balanced working and drying time making it easy to use and easy to clean up. 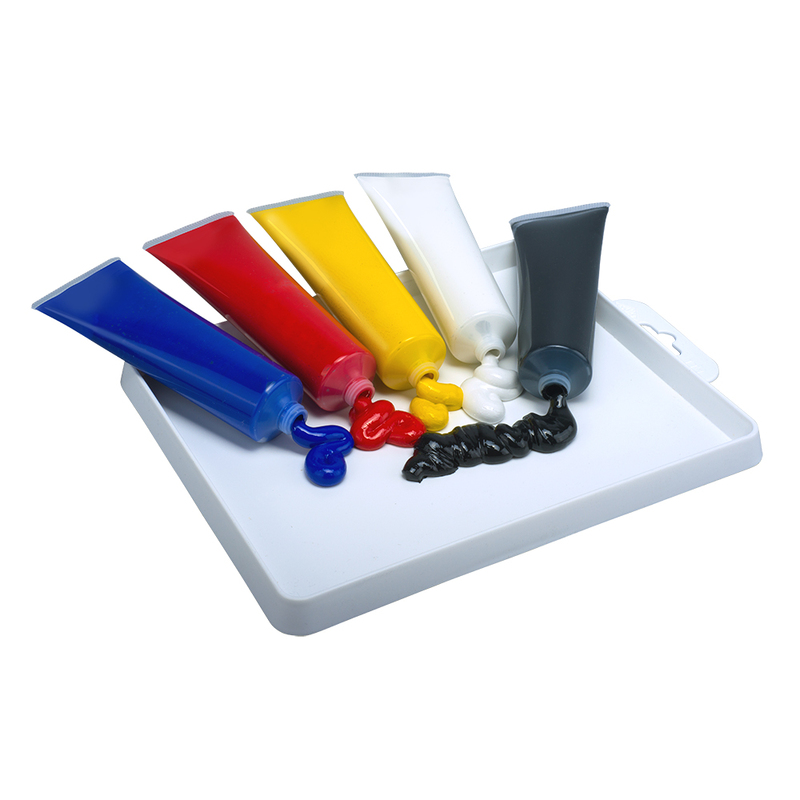 Designed for use with Essdee Linoleum, SoftCut, MasterCut and Printfoam but can also be used with many other printmaking materials and techniques. Essdee block printing ink prints well onto all grades of paper and card.